Lately my my locs have been looking and feeling a little dry. And no, darlings..it has nothing to do with the weather because helloooo, I live in Florida. It doesn't get very cold here so I have no need to adopt a "winter hair regimen". I think my dry locs can be attributed my most recent color job--which, by the way, is growing out ALREADY. What a freakin' rip off. I go through the drama of a bad color job that I learned to deal with and NOW it decides to disappear while leaving my hair a dry mess? Epic failure, right? But my girls Toshia from On the Road to Queendom and natural hair stylist, Felicia Leatherwood made some suggestions a while ago that are reviving the locs. In other news, I have an afro at the back of my head. And re-twisting the first 2 rows of locs is becoming pointless because within days, it just un-twists anyway. My hair has becoming quite stubborn. But then again, it would be with it being a month away from celebrating its Terrible Two's. Awwww!!! I swear by the Infusium 23. I can instantly tell the difference when I wash and use another product or don't use a leave in conditioner at all. 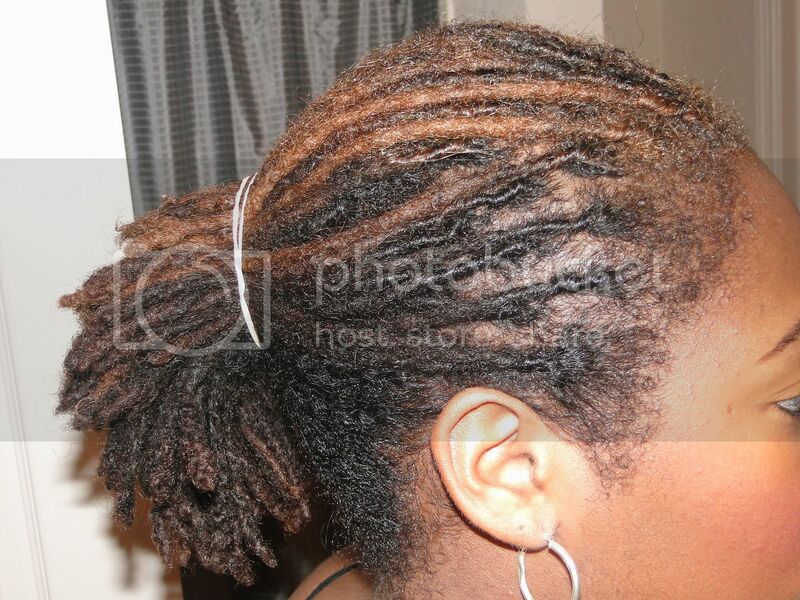 And as Toshia revealed on her blog, you will see a difference in your Loc's growth. Genetics played a part, but my Locs at 2 years are some folks at 3 or 4. Infusium 23 truly helps. I have been using infusium for over 30 years! It is a very reliable product! I have been using Jane carter since the first day I locked three years ago. It has not failed me yet! 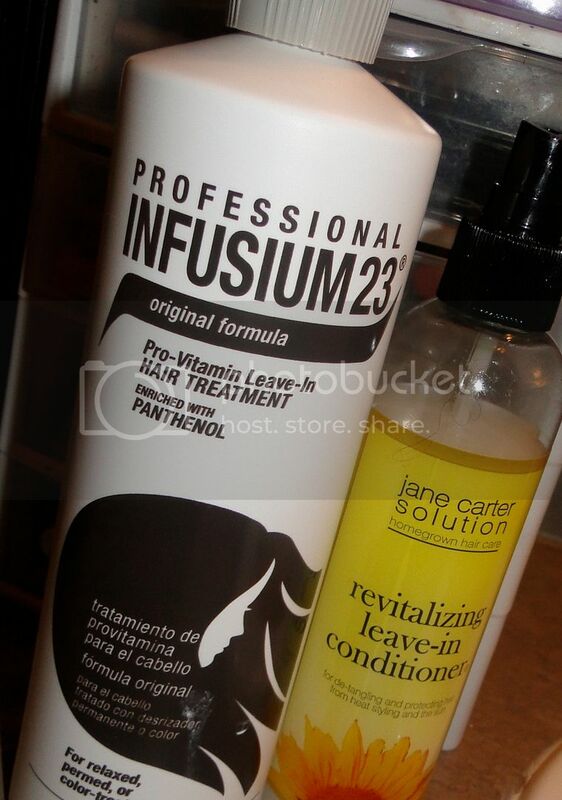 Been using Infusium since before I was a loc rocker! Love it, leaves my hair nice and soft! Your babies are growing up! Aww The afro in back and front is a plight I have, but I just leave it. Maybe one say I will try to tame it a bit, but I am so glad to have a hair line :) You're doing a fabulous job with your hair! BEAUTIFUL! Are your locs in what's considered the teen stage? I've heard that, just like a typical teenager, locs at that stage can get stubborn and unruly. I like the ponytail! I swear by Infusium 23. I mean, the stuff really delivers. My hair is soooooooo soft now that I use it and I don't see any build up. I use it daily and spray it on my locs. I would suggest Infusium toany loc wearer.